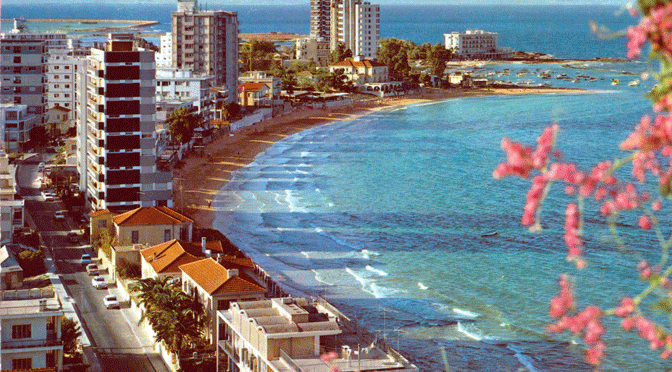 Welcome to Varosha, the Mediterranean’s best kept secret. Miles of sand where it’s just you and nature. Dozens of grand hotels where you’ll have the pick of the rooms. Just remember to pack your bolt cutters to make a hole in the fence – and watch out for the army patrols with orders to shoot on sight. 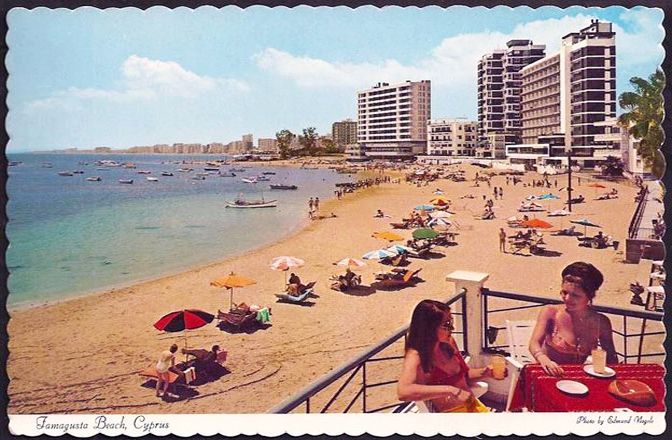 Before the division of Cyprus in 1974, Varosha – a resort in Famagusta – was booming. The rich and famous were drawn by some of the best beaches on the island. Richard Burton and Brigitte Bardot all dropped by – the Argo Hotel on JFK Avenue was said to be Elizabeth Taylor’s favourite. But 40 years ago, after years of inter-ethnic violence culminating in a coup inspired by Greece’s ruling military junta, Turkey invaded Cyprus and occupied the northern third of the island. As its troops approached Varosha, a Greek-Cypriot community, the inhabitants fled, intending to return when the situation calmed down. However, the resort was fenced off by the Turkish military and has been a ghost town ever since. 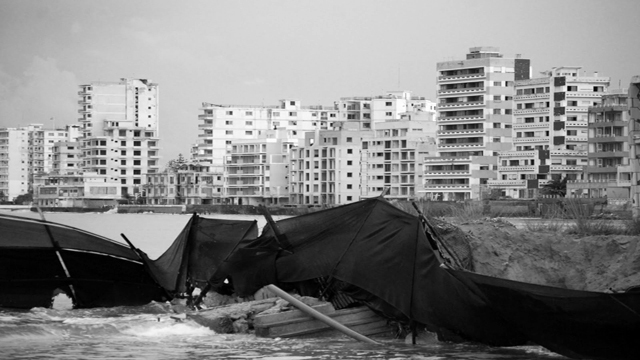 A UN resolution of 1984 calls for the handover of Varosha to UN control and prohibits any attempt to resettle it by anyone other than those who were forced out. 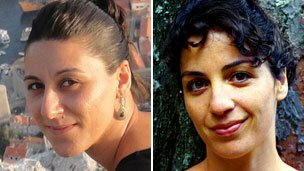 One of them was Markides’ mother Emily – she had just got married and her wedding presents were still in the attic when they abandoned the family home. Others tell stories of pots left cooking on stoves, of lives stopped in mid-frame. 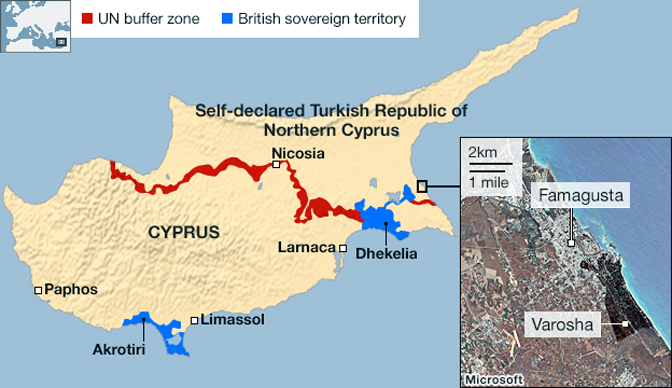 In 2003, travel restrictions were eased for the first time, allowing Cypriots on both sides to cross the UN Buffer Zone, commonly known as the “Green Line”. “The picture that I had in my mind was of a kind of paradise,” Vasia Markides says of the day when she returned to peer across the wire at her ancestral home for the first time. “But it felt like some sort of post-apocalyptic nightmare. Signs warn tourists peering across the fence that “photos and movies are forbidden.” Trespassers risk death. 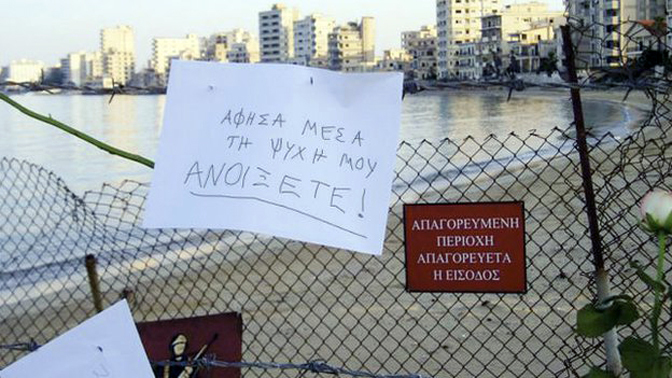 Exiled residents regularly pin love-letters and flowers to the barbed wire. Other than Turkish soldiers, few have ventured inside. Those that have describe extraordinary sights. A car dealership still stocked with 1974 cars, window displays of mannequins dressed in long-gone fashions, the sand dunes that have encroached over the seafront with rare sea turtles nesting in them. Pictures of the devastation circulate online but the photographers won’t always admit to taking them. Anything of value is likely to have been looted long ago and the infrastructure is now damaged beyond repair. But Markides has big plans for Varosha. Now living in New York, Markides is spearheading a proposal to turn Varosha into an eco-city – a model for sustainability and peaceful coexistence. Her plans have gathered the support of both Greek and Turkish Cypriots, and she has formed an unlikely friendship. It was just like living next-door to ghosts,” says Ceren Bogac, 34, a Turkish Cypriot who grew up in a house overlooking Varosha. “The houses had flower pots, curtains, but no one was living there – it was a space which had been left suddenly.” Her school was by the fence too, so if a ball got kicked over by mistake, it was gone forever. 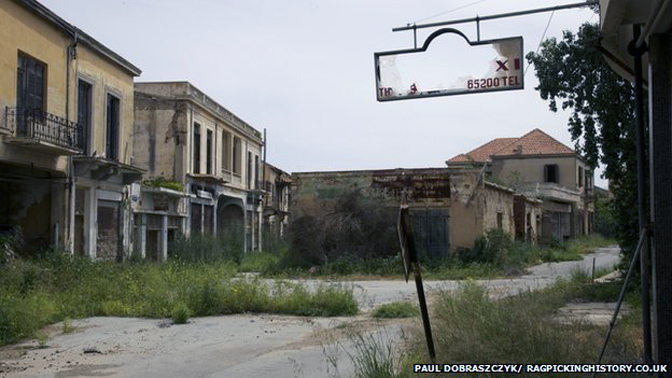 Bogac’s grandparents were refugees from Larnaca in the South and had been given a Greek Cypriot home in exchange for the property they had to abandon. Bogac grew up there, but when she was five or six years old she made a troubling discovery. “One day I found, in a box, the personal belongings of other people, like photo albums and journals,” says Bogac. “I asked my grandmother: ‘Who does this belong to?’ She said: ‘It belongs to the real owners of this house.’ And that was the first time I realised that we don’t own the house that we are living in. This childhood realisation shaped Bogac’s entire career – she became a psychologist and architect in order to understand how it affects people to live in someone else’s home. As part of her research she came across Vasia Markides’ 2008 documentary Hidden in the Sand in which Famagustians on both sides talk about how they feel about the division. “Yes,” said Bogac, “it’s haunting me too.” They began to share ideas about how to improve the situation and that’s how the Famagusta Ecocity Project first took off. The idea is for Varosha to become a model for green technologies. “We need to pay attention to the signs that nature is giving us,” says Markides, referring to the way nature has reclaimed the town. “It’s about using the energy of the sun – that we have so much of in Cyprus – rather than relying on fossil fuels. 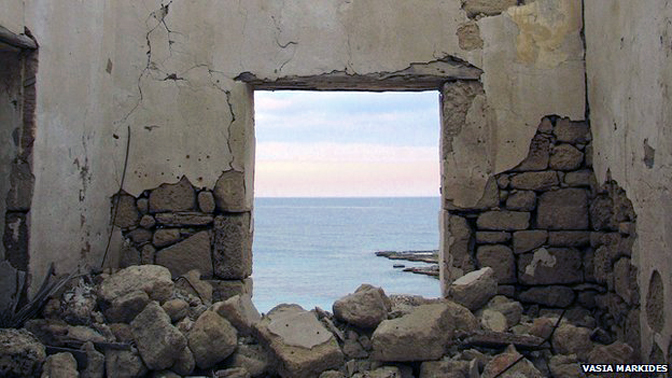 The project launches in January 2014 when Markides will begin making a documentary film about the effort to turn the Famagusta region into a thriving eco-city. It kicks off on 16 January with an architectural design studio overlooking the ghost city, where local and international experts will begin planning a sustainable future. 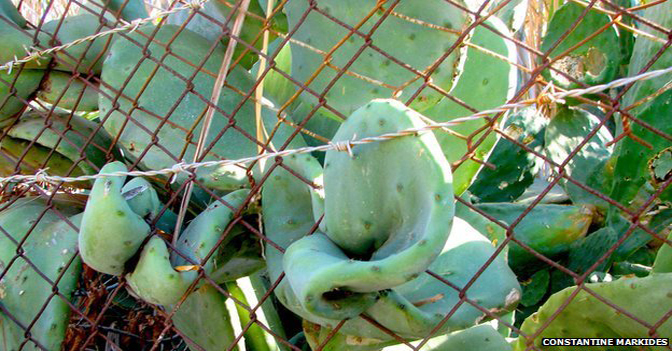 There is one big snag, however – those barbed wire fences and patrolling soldiers. 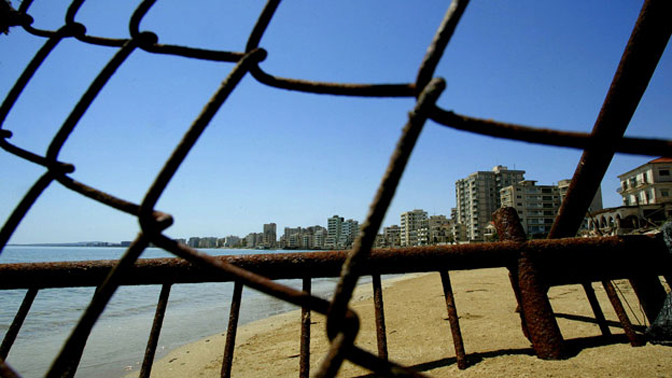 While Cyprus remains divided, Varosha is likely to remain off-limits. 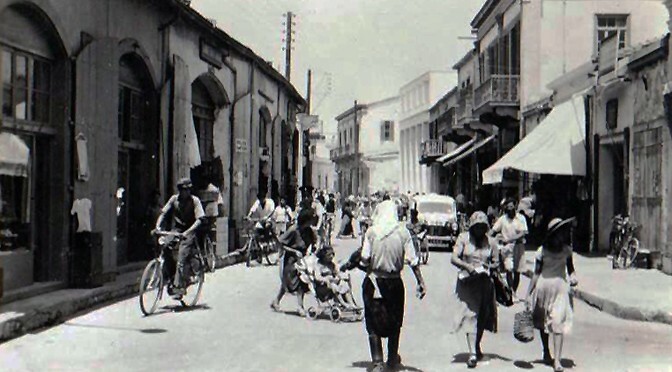 Central to any settlement is the idea of “territorial adjustment” in which property taken from Greek Cypriots would be reinstated in full – this will also mean re-housing many Turkish Cypriots. “It is a delicate issue”, says Fiona Mullen, an economist and part of the Famagusta Ecocity Project. 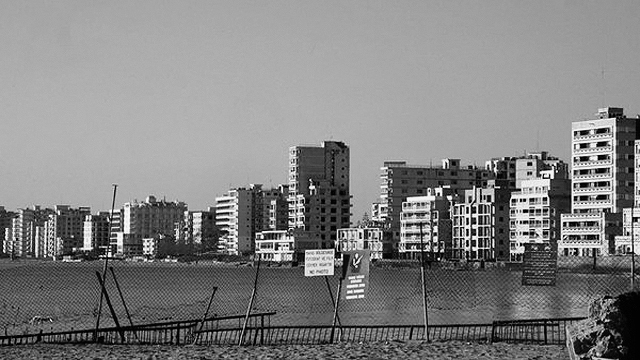 “While it is true that it would make a very big difference to how Greek Cypriots view Turkey, the Turks and Turkish Cypriots have always worried that if they gave back Varosha, the Greek Cypriots might just “pocket” it, and not give anything in return.” So the longstanding position of Turkey and the Turkish Cypriots is that Varosha forms part of a comprehensive settlement – past proposals have included re-opening ports and airports in the north. Bogac is hopeful, despite the challenges. “The problem in Cyprus is not the politics,” she says. “The problem is we are waiting for others to come and start something in our own country – but if we start such a movement for the first time I think we can get ready for any economic or financial situation. We have to do something for this city.” Markides shares Bogac’s optimism.